It has become more important than ever to market with intent, using content and SEO to raise awareness, engage and convert. Conversion, in particular, is one of the biggest challenges for content marketing, but according to Curata, 74% of companies believe that their content marketing strategy helps them increase the quality and quantity of their leads. The rise of IoT and our constant connectivity to the online world through smartphones, wearables and social media have brought a wealth of new data. This serves as a great opportunity for marketers to understand what a modern consumer wants and how to include these findings in a content marketing strategy. Content marketing cannot be successful without data, as marketers risk guessing, rather than actually knowing, the habits of their target audience. A data-driven content marketing strategy can be more efficient, helping marketers save time and money by focusing on the right content that will bring them closer to their goals. Here are five ways that data can improve a content marketing strategy. One of the main reasons to invest in a data-driven content marketing strategy is to gain the best possible understanding of the target audience. A solid content marketing strategy can bring the audience closer to the brand. This can only happen through a framework that takes into consideration the audience’s habits, preferences, and needs. An analysis of the available data can help marketers draft more relevant personas, which helps in tailoring content to the target audience. This should be the start of an effective content marketing strategy, setting up the groundwork for a data-driven approach that relies on insights, rather than assumptions about the target audience. The process of coming up with content ideas can be challenging, especially in small teams. A closer look at the available data can help marketers create content that fits their goals. Keyword research is not only useful in SEO, but it can also offer useful content suggestions, tailored to the target audience and their search habits. For example, keyword analysis can help marketers come up with new content ideas, going beyond the most popular terms and targeting topics that can still be successful, without being predictable. An analysis of the existing content’s performance can offer useful insights, from the most popular posts to the audience’s browsing habits. This data can help marketers create more effective content, adjusting if needed the length of it, the formatting, the visual assets, or even the user experience if there seems to be a high bounce rate. Another useful aspect that can help in the process of content discovery is to monitor what your competitors are writing about. It might be a good idea to monitor your competitors’ most popular topics, the types of content they are using, the ideas they are expanding into, or even the creative aspect of their content marketing strategy. This can give you a good indication of their most successful aspects, while you can also explore the areas that you could cover. It’s extremely useful to monitor the latest trends that are relevant in your content’s context. A closer look at Google Trends, Facebook, and Twitter’s trending topics, or even the latest headlines can help you get inspired on new content topics. Moreover, an analysis of the latest trends, the audience’s response, and their metrics in terms of virality can offer a useful perspective on the content that people prefer to share. There are many questions that need to be answered when drafting a content marketing strategy, but luckily the use of data can provide the answers to all these questions. 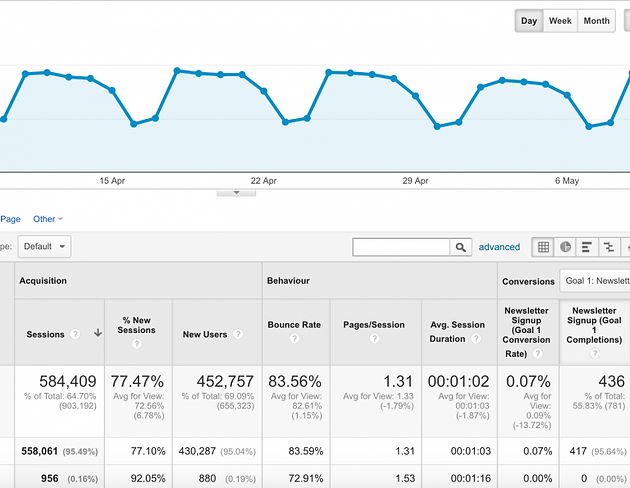 A closer look at Google Analytics or other similar platforms can offer useful insights. These increase the chances for the content to become part of the customer journey, by helping prospects move along the funnel, from awareness to an actual purchase. Moreover, another interesting trend is the rise of real-time data that can help marketers become more responsive to their content. Social networks are usually the most useful platforms to serve real-time content during an event or an important announcement. In that case, data can offer the right direction for the content, from the sentiment to the actual performance of the campaign. 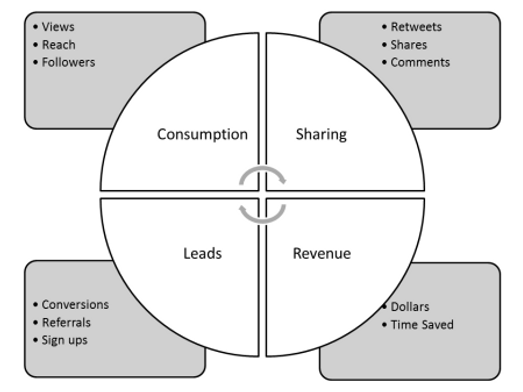 An effective content marketing strategy needs to equally focus on the creation and the distribution of the content. Content distribution becomes more challenging with the abundance of the available channels and the new opportunities for promotion. Not all of them are effective though for every type of content. That’s how data can become extremely – useful to analyse the existing results, but also how the new content can explore new paths for promotion. According to CMI’s report, the most popular tool that marketers use for content marketing is their analytics platform (79%). This indicates the need to measure the content’s performance while justifying the KPI of their content marketing strategy. The focus on analytics tools doesn’t necessarily mean that all marketers are still able to tell whether their content marketing strategy is successful. In fact, according to Curata, only 30% of leading marketers are confident enough that their content marketing has an impact at the bottom of the sales funnel. As more data become available, marketers can take advantage of all the insights to understand their content’s performance and how it brings them closer to KPIs. The need to pay attention to these when measuring a content marketing strategy brings out the importance for modern marketers to blend their creative with their analytical side. As we gain the capacity to collect and analyze increasing quantities of data, marketing is becoming increasingly analytical – but creativity is still crucial, and is what sets humans apart from bots in the marketing industry. Many marketers are eager to dive into data in order to create a successful content marketing strategy. The more data we process, the better the insights we can glean about our target audience. A data-driven content marketing strategy starts with an analysis of the existing data, but it’s also important to proceed with actionable steps. The most effective marketing strategies translate data into their customers’ needs, creating successful content that speaks to their needs, but also your company’s goals. Contentive is a global B2B media and events company that builds highly engaged communities across Human Resources, Accounting, Finance, FinTech and Digital Marketing. We specialize in creating technology-led content marketing campaigns for our clients to deliver a reliable and scalable source of inbound leads that convert into customers.